Or perohi, I think, if you want to be accurate. Special shout-out to the FiL, who’s Russian Orthodox, and provided us with a cookbook from his church so we have all the authentic recipes. 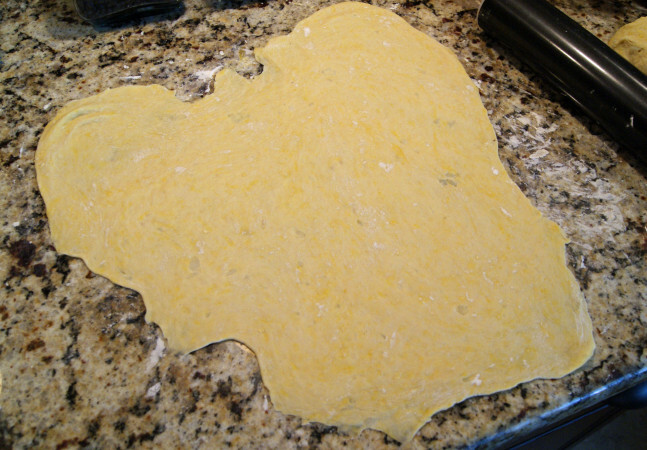 The dough recipe and procedure is pretty much the standard pasta dough. Mound four cups of flour onto a flat surface with a well in the center, and drop four egg yolks into the well. Mix with a fork until combined. Add 1 tsp salt, 3/4 cup warm water, and the special ingredient, 1/2 cup mashed potatoes (to make the dough soft). Knead for about five minutes, then let it rest for another ten. 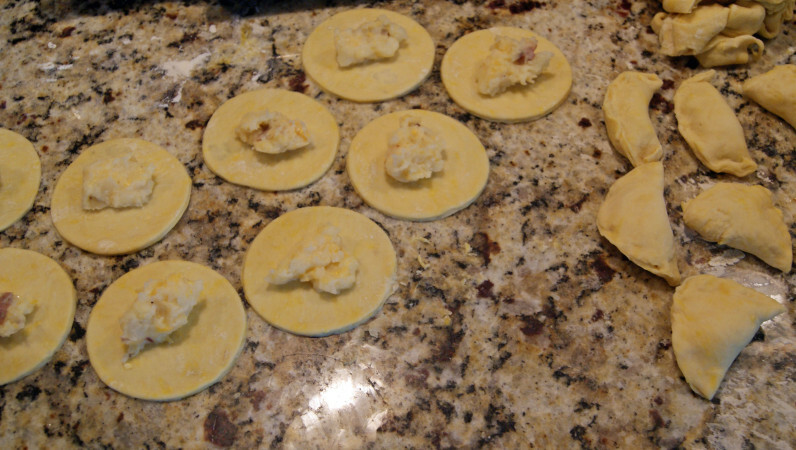 Divide the dough into halves and roll thin. Cut out circles with a biscuit cutter or drinking glass (we used the largest biscuit cutter we have, but could have used something just a little bigger). Put a small spoonful of filling in the middle (and I do mean small – it’s hard to seal when you have filling spilling out), then fold over and seal the edges. Filling can be just about anything – we used mashed potatoes with some shredded cheese (sauerkraut would have also been good with the potatoes, but we didn’t have any). Put into a pot of gently boiling water, and once they float to the surface, let boil for 3 to 5 minutes longer. At this point, you’re done, but we also put them into a skillet with some butter to brown the outsides a little. This made about two dozen, and we only used half the dough. 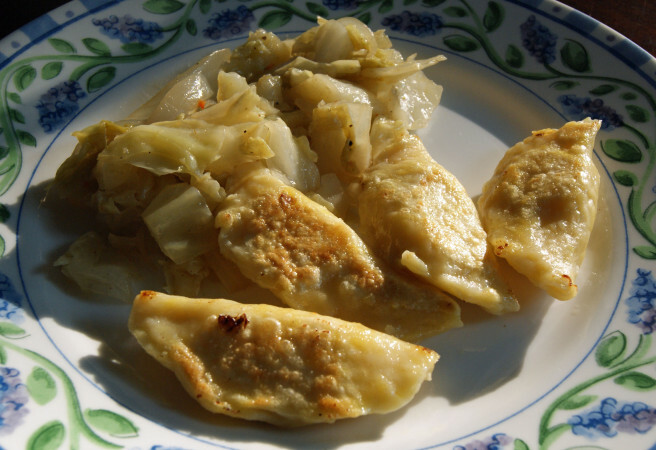 Serve with cabbage and sour cream, or your favorite pierogie side dish. Sorry, Mrs. T, you didn't make the cut.